Detox+Market events sustain the consumerism heresy and militate against the wardrobe full of useless things, as well as against inflated prices and the hoarder mentality. 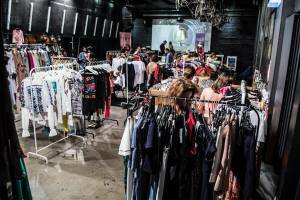 Detox+ Market brings together Romanian alternative fashion brands and creative designs at affordable prices, as well as wardrobe sales. Detox+ Christmas Market will take place in downtown Bucharest, in Amzei Market, between December 9 and December 18, from 11 am to 7 pm. "Detox+ Christmas Market in Bucharest" Fair in Bucharest. You can get here description, reviews, address, time and details of "Detox+ Christmas Market in Bucharest" Fair in Bucharest. Visit Bucharest Tips for more Fair events in Bucharest!